The design of the man-carrying machine known as a Rotachute, also known as a Hafner H.8, evolved from November 1940 and throughout 1941. In September 1941, the Central Landing Establishment was renamed the Airborne Forces Establishment. 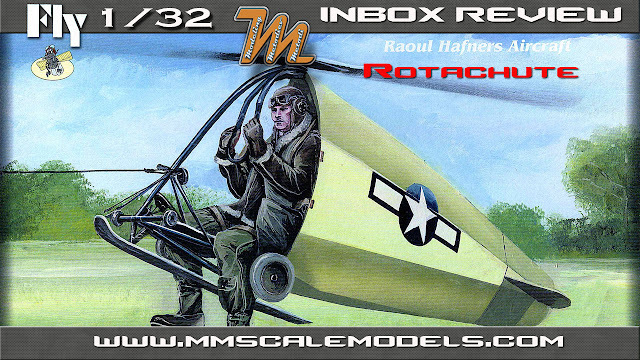 The Rotachute Mark I design initially comprised a tubular steel framework with a single seat, rubber-mounted rotor hub, hanging control column, skid undercarriage, and a self-inflating rear fairing made of rubberised fabric with integral tailplane. The two rotor blades, of wooden construction, could achieve flapping and coning characteristics via hinges on the rotor hub. Fixed footrests were provided, plus fittings below the seat to accommodate a soldier's weapon, such as a Bren gun. The control column offered two-axis control, rolling and pitching, with turns made via controlled rolling movement. Air Ministry Specification No. 11/42 was issued retrospectively to describe the outline requirements. The Ministry of Aircraft Production sub-contracted construction of parts to specialist firms including F. Hills and Sons, Airwork General Trading, Dynaflex, Dunlop, and H. Morris & Co. Some full size rotor trials were carried out using a pivoting rig mounted on a Ford flatbed truck, and full-size unmanned airframes were used in ground-based and inflight trials. This scale model kit comes in small side opening box, with nice "painting" box art. It is second iteration of the original kit. Inside the box you'll find one plastic sprue, one photoetched fret along with instrument faces on acetate sheet, one block with resin parts and small decal sheet. The kit provides with three marking option two of which are British and one is US. All are from 1942. On the plastic sprue there is the body, skid, propeller and the tubular structure. The seat, instrument panel back and horizontal stabilizers are also on this sprue. There is some flash on the parts but nothing major. It will be necessary for the builder to add some internal ribbing structure on the body as it will be clearly visible. The photoetched fret contains the straps which make the back rest, belts, instrument pannel and a lever of some sort. The wheels of the scale model are provided in resin and look very nice. I think that this kit could be a nice little project and shouldn't pose problems even for less experienced modellers. The Rotachute scale model can offer various diorama possibilities and I will definitely do one in the future.